There are more than two million women veterans in the U.S. and Puerto Rico. According to the U.S. Department of Veterans Affairs, there are more than two million women veterans in the United States and Puerto Rico. That means women make up 9.4 percent of the total veteran population. By 2040, the VA expects that percentage to almost double. While many veterans often find it difficult to transition to civilian life, women veterans face challenges their male counterparts don't experience. The VA and other organizations were at first slow to recognize these challenges and provide the services women veterans need once they leave the military, but the VA has instituted programs designed specifically for women veterans. Joining "Cincinnati Edition" to discuss meeting the needs of women veterans is Cincinnati VA Medical Center Women Veterans Program Manager Shirley May. Captain May, who has 35 years of military service, currently commands Bravo Company, 801st Combat Support Hospital in Indianapolis. 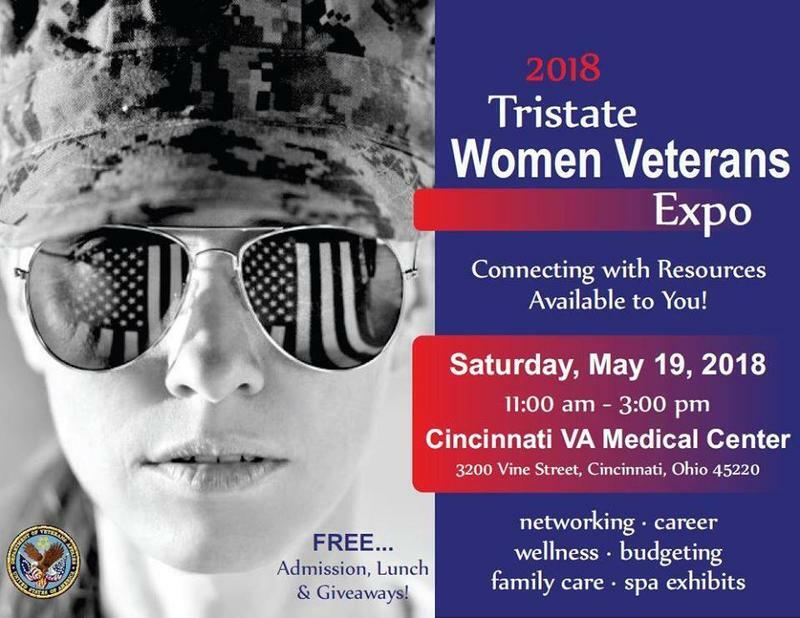 The 2018 Tristate Women Veterans Expo will be held this Saturday, May 19, from 11 a.m. to 3 p.m., at the Cincinnati VA Medical Center, 3200 Vine St, Cincinnati, OH 45220. Tune in to "Cincinnati Edition" May 17 starting at 1 p.m. to hear this segment. As investigations continue at many Veterans Affairs Medical Centers across the country, Dr.